Shopping in Regensburg is a must do for all Regensburg tourists. There are a lot of exclusive and high-quality shops located in our nice historic city centre waiting to be discovered by you. Shopping in our Town is a pleasure for all senses and everything you could possibly want is nearby in the Old Town. 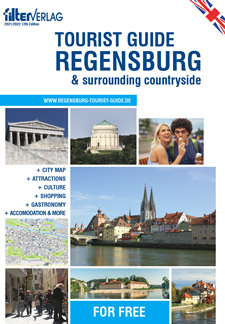 Our Regensburg Tourist Guide presents a choice of the nicest shops and also shows you where the locals go.